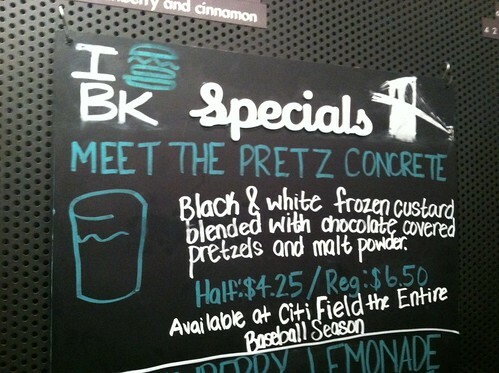 They had me at chocolate covered pretzels but when you add in the malt powder, that takes this concrete over the top. Since it will be available at Citi Field all season, it looks like I'm going to have to make a special trip to see the Mets and Meet the Pretz. What's your favorite Shake Shack concrete? *For the uninitiated a concrete is frozen custard with assorted mix-ins whirled in. Each Shake Shack has their own unique concrete menu that takes its cues from the neighborhood.